Exquisite condo in Netherwood is finest living at it's best! 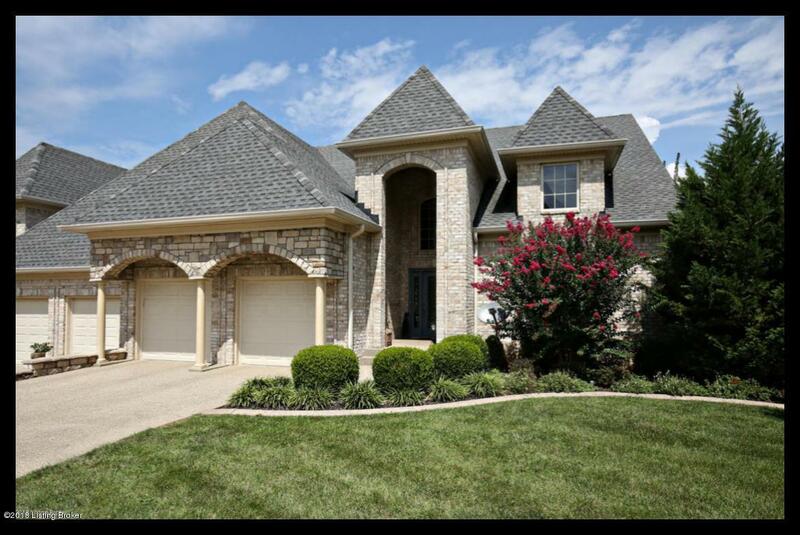 This energy star rated home has many wonderful upgrades! The end walk out unit overlooks an incredible breathtaking parklike setting with lots of trees. The landscaping is spectacular with gorgeous blooming crepe myrtles and lots of other flowers and shrubbery behind beautiful stone cement curbing. Enjoy your wonderful covered porch as you look out over the lovely grounds. These condos truly do have lovely curb appeal with a castle type look about them. They are beautiful! The main floor boasts gorgeous wide planked scraped hardwood floors and all the bedrooms are carpeted and bathrooms are all tiled. Enjoy the large kitchen with open concept overlooking the great room. The backsplashes are beautifully tiled.Solid surface countertops in the kitchen and baths are lovely. Extra tall ceilings throughout. Huge storage area in the basement also with extra tall ceilings in the lower level walkout as well. This home is sensational so don't miss. These kind of views are hard to find!